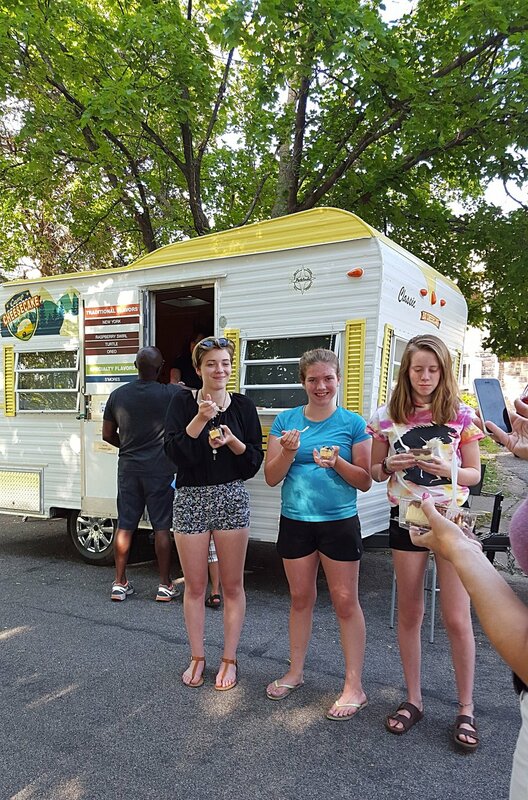 Book Camp Cheesecake Food Truck! 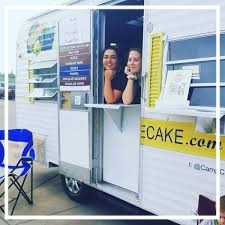 Camp Cheesecake is the first cheesecake food truck and we were the first company to use a vintage camper for a food truck! We like to think we started the trend :) Book Camp Cheesecake by emailing us at: Yummy@MuddyPawsCheesecake.com. We will bring Camp Cheesecake to your brewery, office, church, etc! It’s so much fun! Our vintage camper is the cutest thing on two wheels! We will make your event goer’s or office worker’s day with our fun camper and fantastic staff! We can offer by the slice pricing to them or work with you on a pre-paid event where they get cheesecake tickets good for one slice, etc. We will bring Camp Cheesecake to your wedding! Guests have so much fun with it and it saves space and clean up! Great for outdoor weddings. We operate April thru October! Pricing varies for wedding. We can accomodate any budget! Do you have a grand opening, anniversary party, employee moral or other day you want to celebrate? What is better than a camper full of Muddy Paws Cheesecakes! Email us or call 763-545-7161 to book it and get rates! We will bring Camp Cheesecake to your neighborhood! Have a party and invite us to bring cheesecake! Slices are $4 each and we offer Gluten Free + Vegan/Lacto-Free. 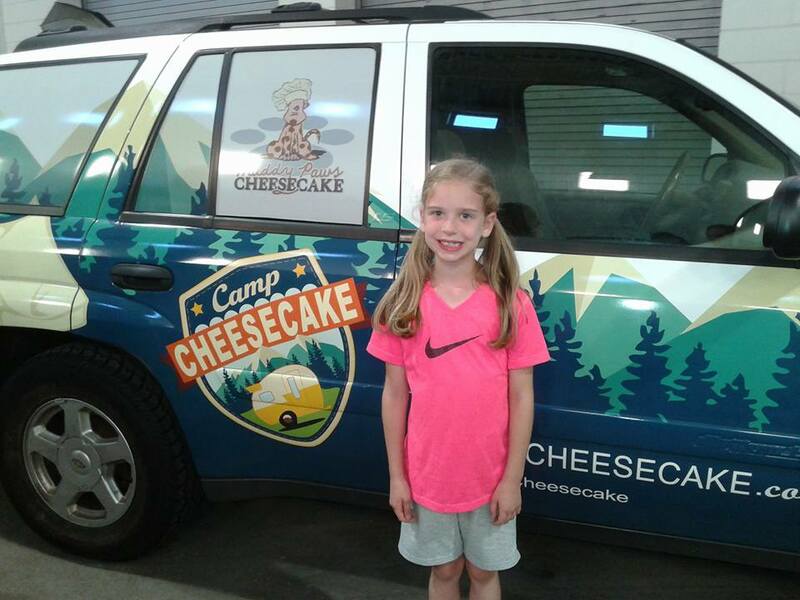 KIDS love Camp Cheesecake! We can come to birthday parties for ages of kids and adults! Leave the baking and mess to us! Plus, they’ll have so much fun!